Added by Indo American News on February 15, 2018. 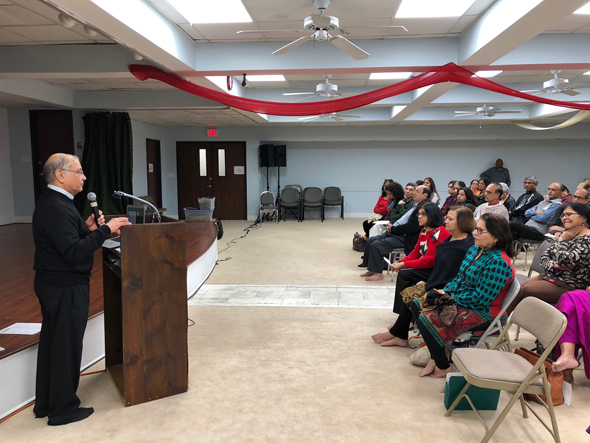 HOUSTON: Sewa USA and Jain Society of Houston had organized a free workshop – “Five wishes and Essential documents for the families on January 28. This very informative workshop was attended by over 70 people and was conducted by Arvind Thekdi, who is an active member of The SEWA Family Services Program. 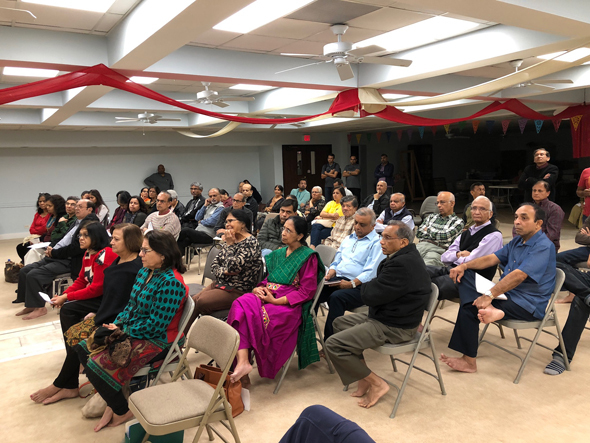 Arvind has lived in the USA over 50 years and has presented this material to the community members at several meetings and workshops during the last four years. This workshop started with Sachin Dabir giving overview of SEWA Family Services Program and briefly explaining the activities and services offered by the same. Umesh Kapur then introduced Arvind Thekdi. Arvind Thekdi gave a very informative presentation about important documents that help to organize personal, financial and legal information that is helpful to families in times of family emergencies or crisis. He also talked about a very important document “Five wishes” that can be used to convey personal, emotional and spiritual needs as well as medical wishes. He explained that this document lets you select the person who would be able to make healthcare decisions for you in situations where you were unable to make them for yourself. He also talked about the Texas specific requirements. Audience comprised of young couples as well as senior community members. Everyone found the session very informative. There were lots of questions and Arvind Thekdi threw light on all the aspects of need of documents – from difference between living will to medical will, possibilities of setting up family trust, process of probate and many more. Arvind also shared a comprehensive format to capture all the critical but often neglected document information in one place. Attending audience also got a FREE copy of the easy to use document “Five Wishes”. A big thank-you to Arvind Thekdi for the informative workshop and all the volunteers at the event; Umesh Kapur, Amita Dabir, Naina Patel and Maitreyi Pampattiwar. Jain Society of Houston were a very gracious host and served lunch to all the attendees. Sewa serves humanity regardless of race, religion, color, gender or nationality. Another upcoming event organized by SEWA along with Vyasa Houston is the SDM yoga camps, which is from Feb 16 – 25. These camps are free of charge, they have a deposit, which is refunded once participants complete all the sessions. For more information and to register please contact info-sdm@sewausa.org or (713)834-4909 / (281) 546-8202. Sewa USA is 501 (c) (3) Hindu faith-based non-profit, charitable organization. All donations (cash, cars, clothes, securities, etc.) are tax-deductible. (Tax Id# 20-0638718).